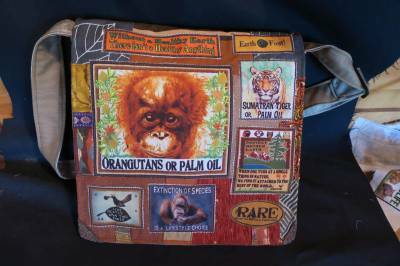 OFIA Orangutan bag-handmade from recycled materials. 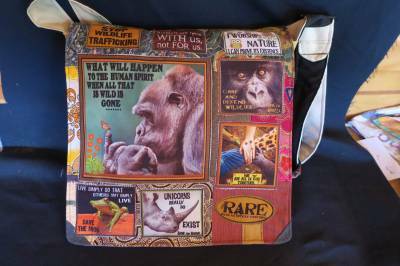 Hey everyone, we support the work of the Orangutan Foundation International Australia (OFIA) and have developed a partnership between RARE bags and OFIA in support of Orangutans and their habitat in Borneo. 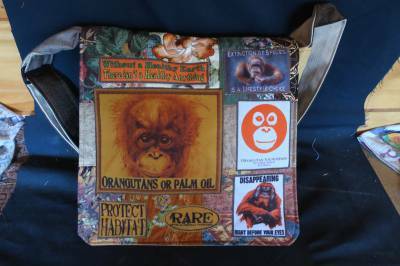 By purchasing one of our Orangutan bags with an OFIA logo we'll donate $10 of the purchase price to OFIA, for their fantastic work to help protect and rehabilitate orphaned orangutans. Please visit their website for further information www.orangutanfoundation.org.au . If you would like to support this partnership and Orangutans you can Buy Now and we'll forward $10 of the purchase price onto OFIA. These bags are made to order and will usually see a two week turnaround. Thank you for your support. ..The bag will be $105 when you get to the checkout.